Having WordPress plugins for your site adds more functions to your site on top of your any of your favorite theme. No matter if your site is super small or a large enterprise site someway or for some other reasons you badly need a plugin and as you might be knowing that WordPress is having a plugin possibly for everything. You can get numerous plugins fully free or premium or freemium basis. But choosing the right plugin is always a hard task especially for beginners as there will be so many options in each of the categories. So here i will be helping you out to must have plugin for your WordPress site so that it can helps and benefit your site in terms of performance and security terms. For any level of clients i always recommend to have this plugin to secure their WordPress site. Particularly Pro version and listen to the WordPress community members they will tell you super powerful is this plugin and we use it for all of our client site. This is the one plugin that you need to install as soon as you install WordPress core. iThemes Security (formerly Better WP Security) gives you over 30+ ways to secure and protect your WordPress site. As you might be knowing that so many WordPress sites are getting targeted and hacked every single day. WordPress sites can be an easy target for attacks because of plugin vulnerabilities, weak passwords and obsolete software. 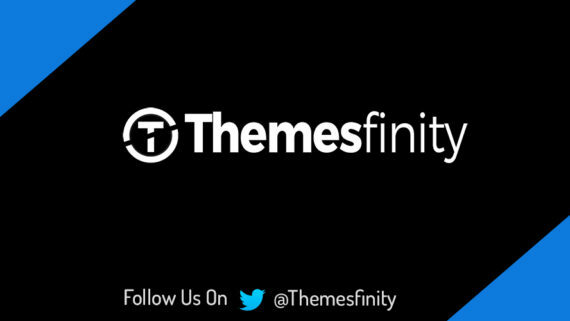 iThemes Security Pro takes the guesswork out of WordPress security. You shouldn’t have to be a security professional to use a security plugin, so iThemes Security Pro makes it easy to secure & protect your WordPress website. I’ve seen some many SSL-based plugins and for me this Really Simple SSL plugin impressed me a lot because of it’s simplicity, no configuration art all and quite powerful. In order to use this plugin you need to have a SSL certificate for your website and nothing else you need. If you really wants to increase your users overall experience and to increase your site page load speed then this is the plugin you need to have. It helps to reduce the download times via features like content delivery network (CDN) integration. This is one kind of plugin that there so many people in this WordPress community who keeps on recommending this plugin including developers and web hosts. More importantly this plugin requires no theme modifications, modifications to your .htaccess (mod_rewrite rules) or programming compromises to get started. If you are planning to give a run for a money for your competitors then you have to install this plugin in your site to give search engines a useful summary of your content to display. It is basically a short summary of your page in the search results of Google, Yahoo, Bing and sometimes in the News feed of Facebook in nice format with star ratings, author photo, image, etc. To create rich snippets in WordPress website, you can use this handy plugin. It provides the search engines with the precise information to be displayed in the search engine result pages. This helps your site rank better as well as get more click-through rates. In my honest opinion i’m not a big fan of this plugin but many other folks are using this plugin in their website for SEO purpose and i’m recommending it to you because of it’s powerful features and a solid toolset that helps you aim for that reaching first page spot in the search results. Yoast SEO does everything in its power to please both visitors and search engine spiders. Yoast SEO plugins gives you all the lift to create better content and improve your ranking on search results. It focuses on creating the content which is useful to the users as well as technically SEO friendly. It comes with tons of features to optimize your website. It has built-in content analysis, meta keywords and description management, managing duplicate content, XML sitemaps, social features, rich snippets, and much more. Do you want to run newsletter on your website then this MailChimp is the way to go and on top of that you use this MailChimp for WordPress plugin and it helps you grow your MailChimp lists and write better newsletters through various methods. You can easily create good looking opt-in forms or integrate with any existing form on your site, like your comment, contact or checkout form. After installing and activating the plugin, you’ll be prompted to enter your MailChimp API key. This will allow the plugin access to your MailChimp lists. You can create good looking opt-in forms or integrate with any existing form on your site, like your comment, contact or checkout form. Jetpack (from Automattic, the company behind WordPress.com) is a collection of amazing features which supercharges your site with a number of really useful functionality. It is a combination of many plugins in one, Starting from site security, optimization to user engagement it provides you all the important features. In order to use this plugin you need to actually sign up for a WordPress.com account and it gives you all the access to its features which you can use on your self-hosted WordPress.org installation by using this plugin and to do so you need to activate Jetpack using that login info. Well what happens if your site crash down and fail means taking all of your hard work to build your site and you never know it could happen to anyone and this is where BlogVault comes to protect your site by taking a backup of your site’s files and database and store it in cloud. BlogVault is a premium real-time backup and security service for WordPress and the most reliable backup and restore plugin as it was designed to keep your WordPress website’s data safe and secure through backups and effective security measures. It also facilitates backup validation, restore, migration, dedicated staging, site copying, website management with zero downtime and upload to Dropbox. When i came to know about this plugin then i started to do some research on it and then i came to know that this plugin is far more than just a backup plugin. Its packed with some bold features for WordPress including user management, security, site migration, smart malware scan, site restore, and much more than what it was written here in this post. CloudFlare is a Content Delivery Network (CDN) which is easy to use & it speeds up your site and improves your content distribution to automatically optimize the delivery of your site so your visitors can browse your site at top speeds. Apart from this Cloudflare helps you in blocking threats and limits abusive bots before they reach your server as it helps in saving bandwidth and increases the level of security. Cloudflare CDN works both with dynamic and static websites, it means you can use it for your WordPress site as well by activating your Cloudflare by using your cPanel or you can create your account directly on Cloudflare’s website. To make it more easy you can use this plugin for one-click WordPress optimized settings. WAF or Web Application Firewall is available for all premium plans, the WAF has built-in rulesets, including rules that mitigate WordPress specific threats and vulnerabilities. These security rules are always kept up-to-date, once the WAF is enabled, you can rest easy knowing your site is protected from even the latest threats. With this plugin you can easily integrate Google Analytics right into your WordPress and trust me you need to hire a developer to do this task. This plugin is super easy and powerful as it allows you to connect your website with Google Analytics, so you can learn more about your website visitors such as where are they coming from and what are they doing on your website. This plugin comes with both free and premium version and again here i recommend you to go with Premium version of you are desperate to improve your site as we know that Google Analytics is super powerful tool with loads of valuable data to analyze it. MonsterInsights is brought to you by the same team that’s behind WPBeginner, OptinMonster, and Envira Gallery. In order to use this plugin you should have Google Analytics account and then you can install and activate it. Track the performance of your custom post types. WP Time Capsule WordPress plugin was largely backed up by Infinite WP who are well-known to the WordPress community for quite a long time by providing quality WordPress management solutions and now they are with even more powerful product for y’all. WP Time Capsule was created to ensure peace of mind with WP updates and put the fun back into WordPress. It uses the cloud apps’ native file versioning system to detect changes and backs up just the changed files and db entries to your account. This powerful plugin saves your time and efforts of managing backups and it gives you a total control on your backups before you could push your updates and in case if something went wrong thn you easily restore with a click of a button and get your website back to operational again. It’s so invaluable. The best part of this plugin is that whenever you try to update your site then there’s no need to take a backup of your entire website, this plugin is an incremental backup solution, meaning only the changes are backed up every time automatically & efficiently and the unchanged files remain untouched. There are so many amazing WordPress plugins out there which cannot be listed here. Above mentioned plugins which are regularly used by us for most of the WordPress that we build for our clients are the must have WordPress plugins to get started with and enough to run your site effectively unless you want to bring in some specific functionality to your site. 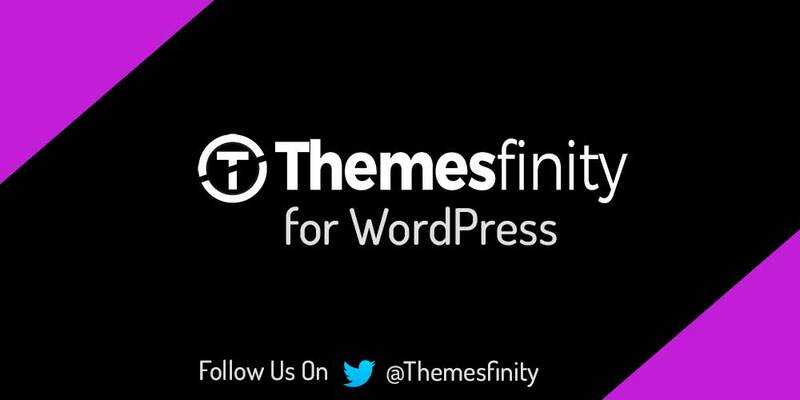 Here what i would like to suggest you to have a Premium or Pro plugin particularly for iThemes Security and for BlogVault as it adds more value to your site instead of having a free version.